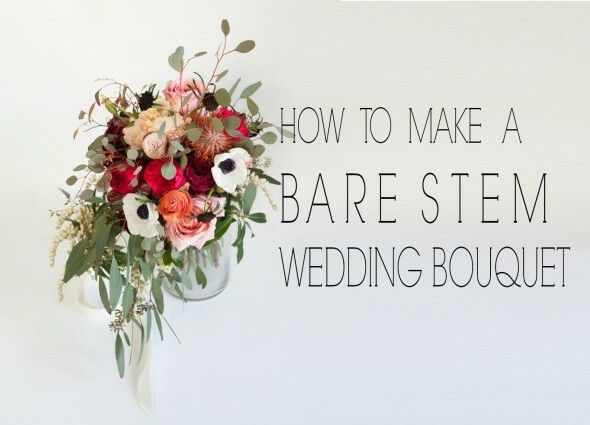 We love the look of a bare stem wedding bouquet! It really allows the flowers to pop and have a strong presence and it is a great option whether you are using bold flowers or minimalist flowers. 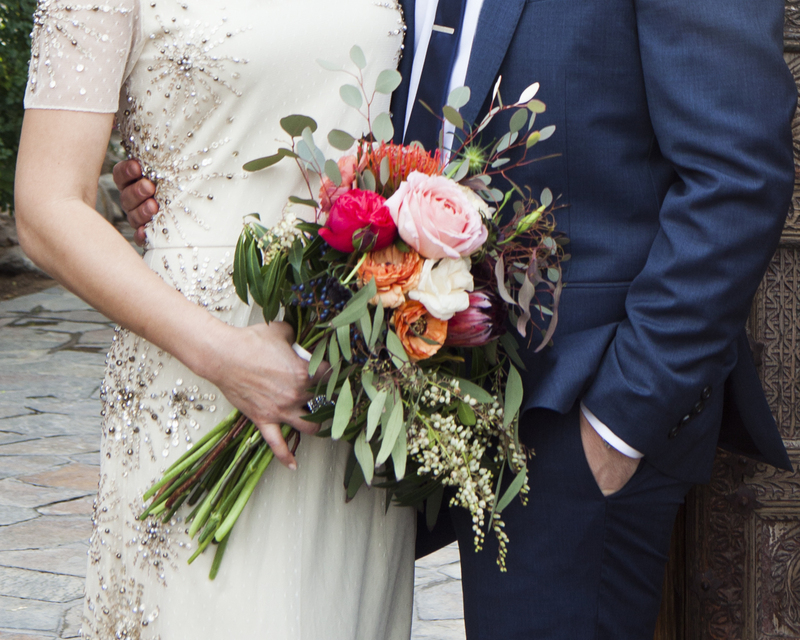 Today we have put together a rustic wedding bouquet that makes our eyes so happy! 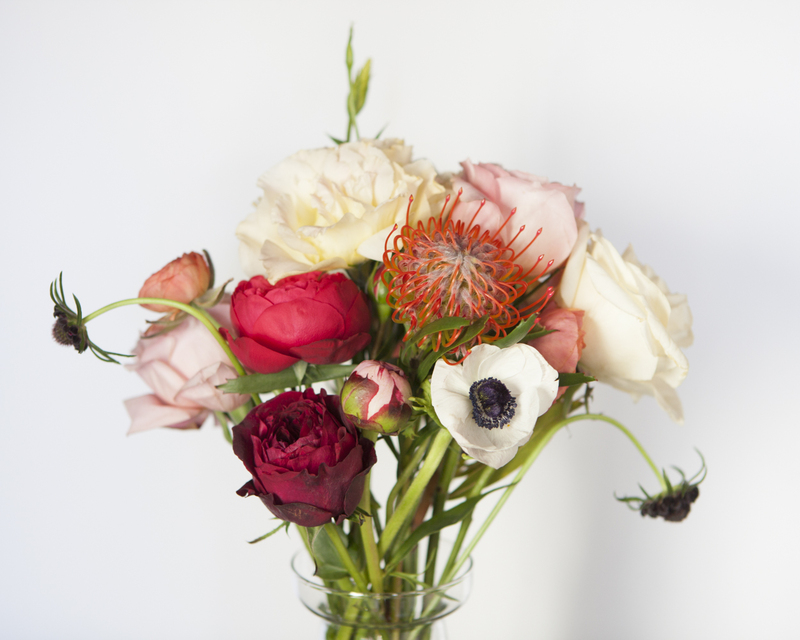 If you are making your own bouquet, you get to pick everything you want and we suggest going stem by stem like we did to end up with the perfect arrangement. Happy arranging! 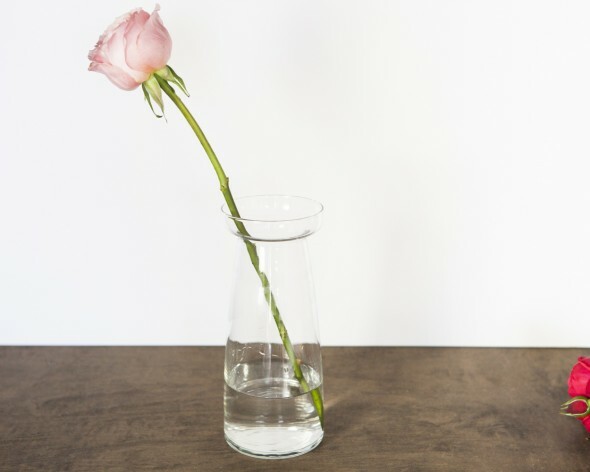 Start by filling your vase with a few inches of water so that the fresh cut stems will be happy while you work! It is best to use a vase that has an opening that is about the same width as you want your bouquet handle to be. That way you can use it as a guide as you go. Then, starting with your base flowers, trim all leaves from each stem as you go. 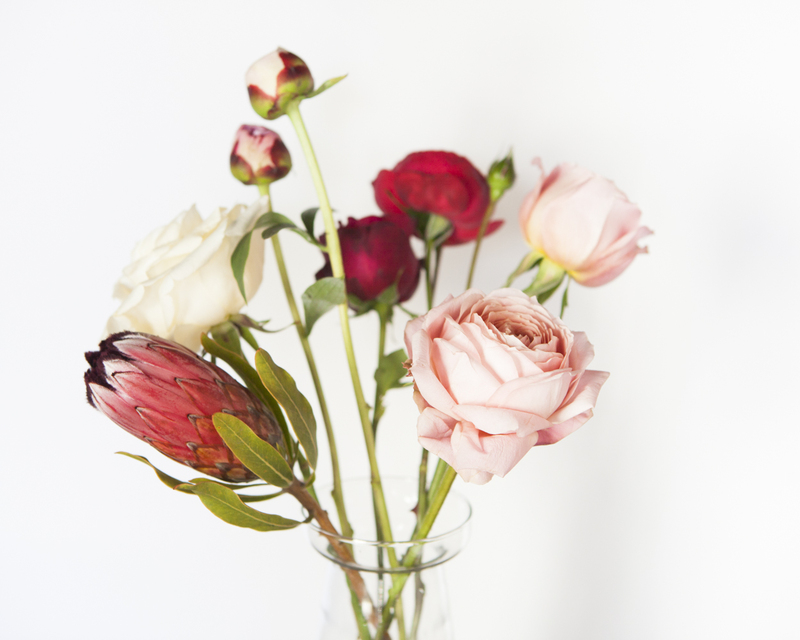 Add your base flowers one by one to your vase. 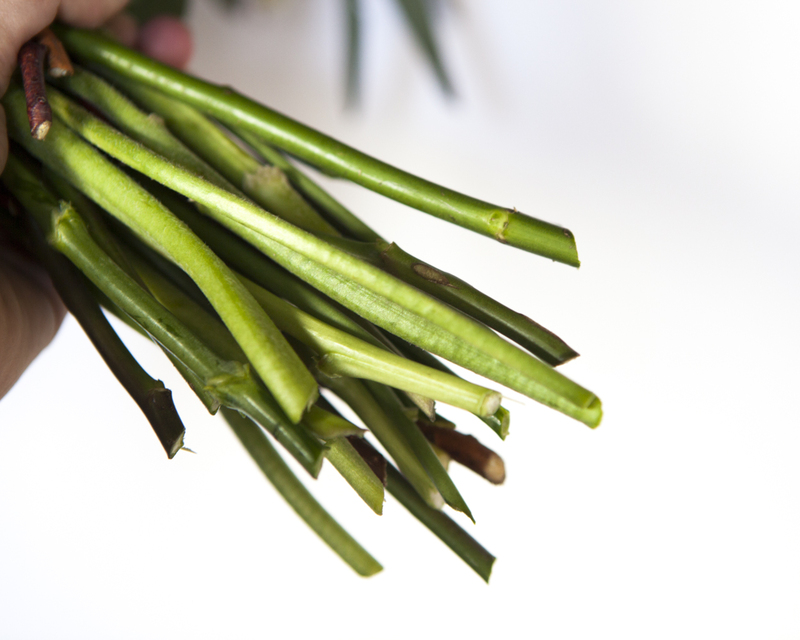 You may want to lead extra length on the stems so that you have room to trim them later. 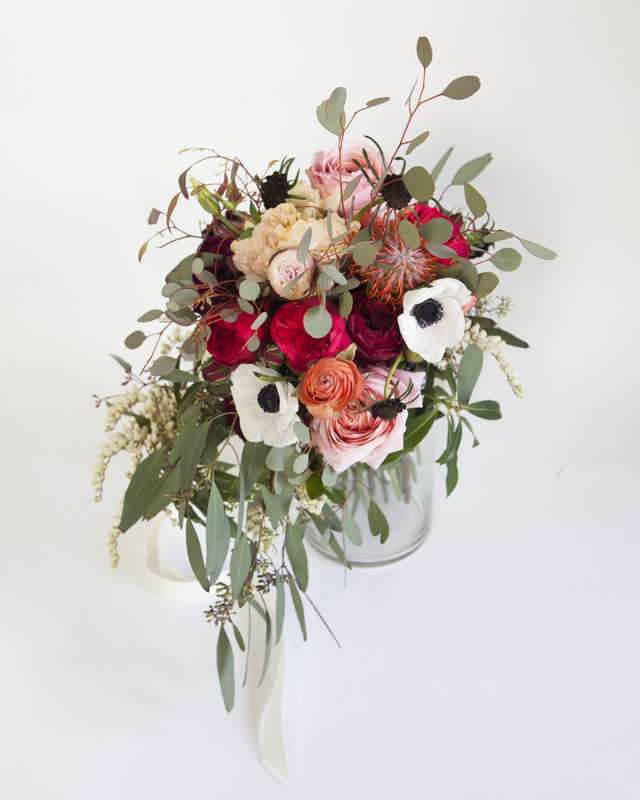 Once you have added some of your base flowers with clean stems, you can start adding in your interest pieces. 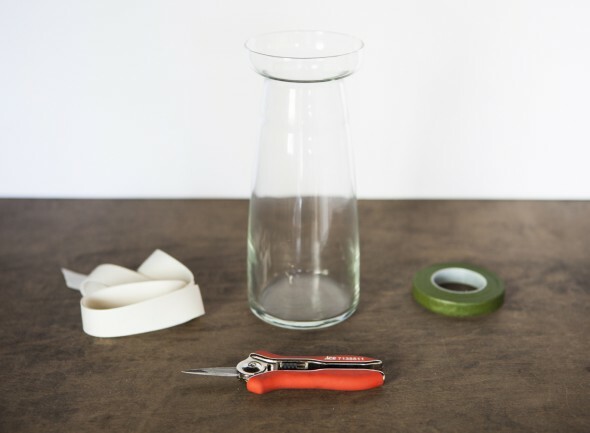 Fill in the spaces as you go, turning the vase to get an ideas of how it looks from all sides as you add stems and move them around. 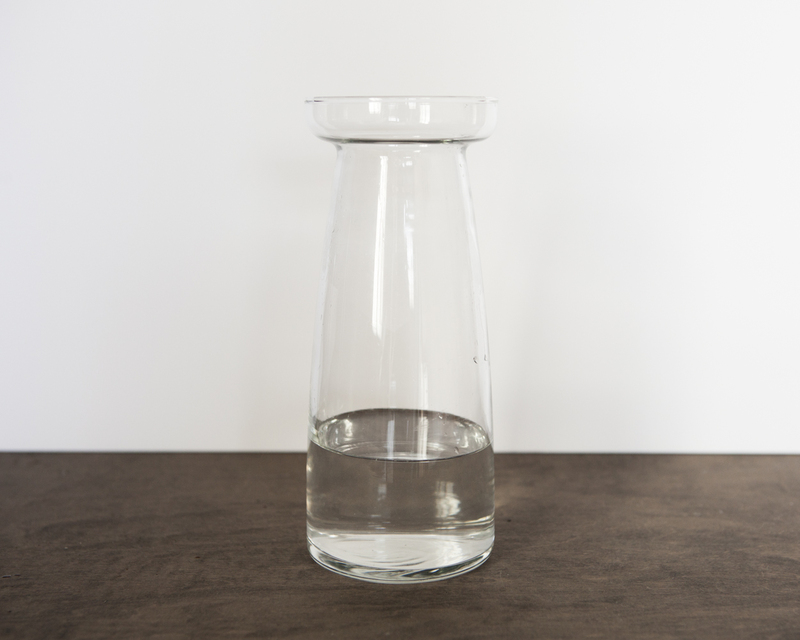 You may want to trim stems once the vase starts to fill up so that the heights are correct. Once you get it to a place where you love the arrangements of all of the stems, grasp them stems and lift the flowers out of the vase. 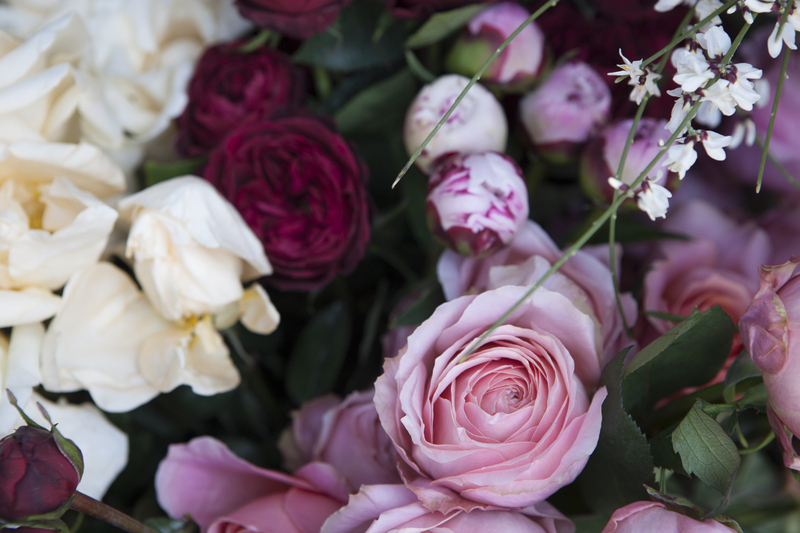 Holidng the flowers tightly, trim the stems to the same length. 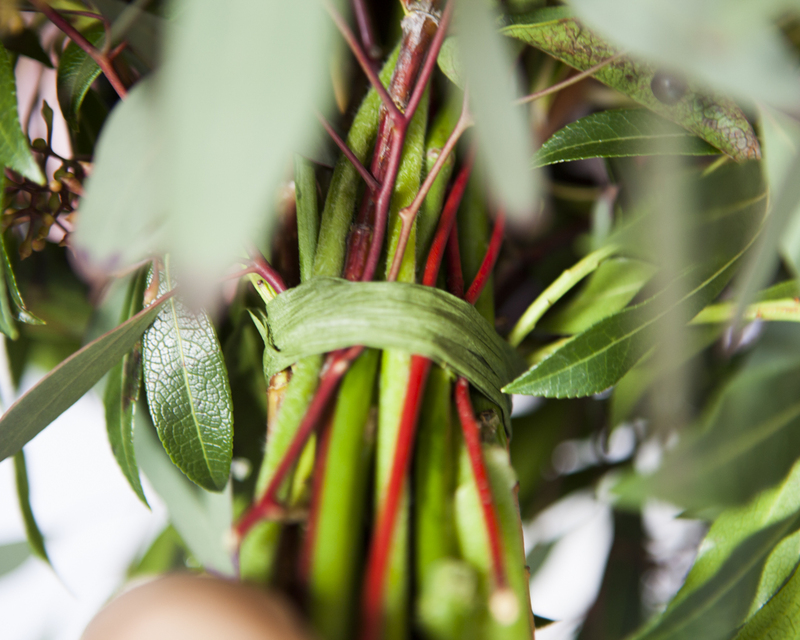 Then, take the floral tape and wrap the base of the stems very tightly multiple times. Make sure all of them stems feel secure. 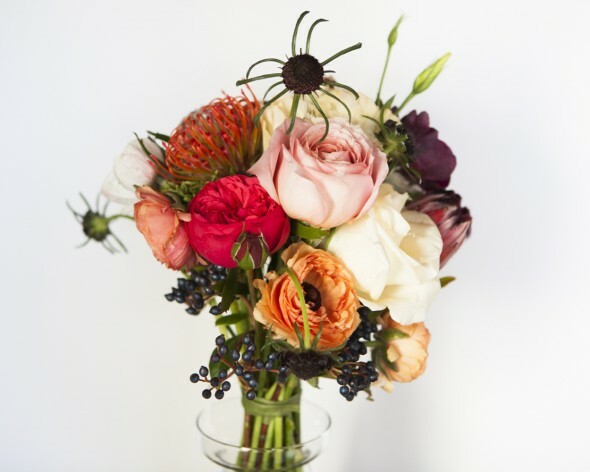 Once the stems are secure, return the bouquet to the vase and add greenery and final flourishes like berries. To do this, slip the stems under the floral tape. This will add to the security of the bouquet by making the tape extra tight. We added some large pieces of eucalyptus at the end to give our bouquet a rustic feel. 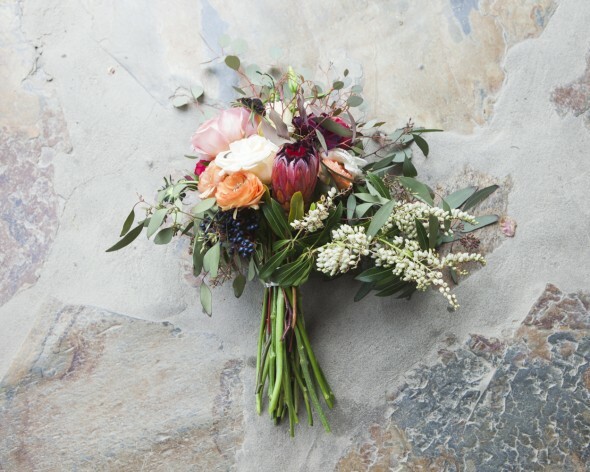 When your bouquet is finished, take a white ribbon and wrap the stem a couple times over the floral tape, and secure the ribbon with a pin, sinking the end of the pin into a stem. You can also tie the ribbon instead if you want to keep the ribbon long, like in the picture above. If you pin it in place it will be barely visible like the picture below. Keep the bouquet in water until you are ready to use it! When you take it out of the water for the last time, just pat the stems dry with a towel to keep you and your dress dry! And there you have a wedding-ready bare stem bouquet! Great blog, it is good to use rather then throw it in dustbin, money saving tips.